Dr. Harrington is co-founder of Omega Health Services in Boise, ID. She has been the medical director of Omega since its opening in 1998. She received her medical education at Loma Linda University in California (1991) and completed her psychiatry residency and fellowship at the University of Southern California, Los Angeles (1996). Dr. Harrington is Board Certified in Adult Psychiatry and Addiction Medicine. In 2004, Dr. Harrington launched from Omega’s facility on State Street an innovative Afterhours Mental Health Walk-In Clinic—the first of its kind in Idaho, providing urgent mental health care in an afterhours walk-in setting. In 2009, Dr. Harrington co-founded MidValley Healthcare in Meridian, ID. MidValley is a Mental Health Intensive Outpatient Program, which was the first of its kind in the Treasure Valley. Through MidValley Healthcare, Dr. Harrington also prescribes and oversees ‘repetitive transcranial magnetic stimulation’ or rTMS Treatment, a cutting-edge alternative treatment for specific conditions, including difficult depression. She also provides addiction recovery services on an outpatient basis at MidValley. Since 2010 Dr. Harrington has served as the Medical Director of New Start Center for Recovery, an inpatient addiction treatment center located on the campus of Intermountain Hospital in Boise. Additionally, she provides inpatient mental health services at Intermountain Hospitals’ psychiatric care unit (since 1998). Dr. Harrington has also served as the Medical Director of Safe Haven Healthcare Psychiatric Hospital of Boise since 2016. Safe Haven is a 16-bed inpatient mental health facility where she provides psychiatric care, as well. Jeffery Johnson, PA-C, Pharm-D graduated with a Doctorate in Pharmacy from Idaho State University in 2000 and worked as a community pharmacist for two years before becoming a Physician Assistant. 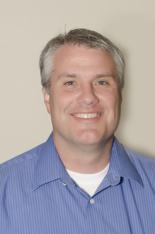 Jeff earned his Physician Assistant degree from Idaho State University in 2002. He practiced Emergency Medicine in a busy Emergency Department in Pocatello, ID for several years. In 2011 he became a Clinical Assistant Professor at ISU, teaching in the Physician Assistant Program. Jeff started at Omega Health Services in 2011, focusing his practice on mental health and working in our Walk-in Clinic. His experience in the Emergency Department aided his success in our Walk-in Clinic and daily scheduled clinic. Jeff enjoys spending time with his wife and family, as well as his yearly trips to the Dominican Republic for Medical Mission work. Jeff accepts clients of all ages and takes most insurance plans, including Medicare and Medicaid, private insurance, and self-pay patients. If you are interested in scheduling an appointment with Jeff, please contact our office at (208) 853-0071 to schedule an appointment. 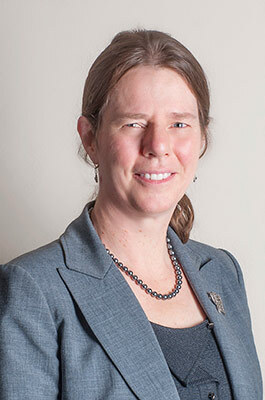 Rachel Jessen, MSW, LCSW obtained her Bachelor in Social Work from Brigham Young University (1991) and her Master in Social Work from New Mexico State University (1996). Rachel has been a social worker for nearly 30 years, and has been practicing in a clinical setting for nearly 20. Her practice settings have included community mental health, family preservation services, and addiction treatment. 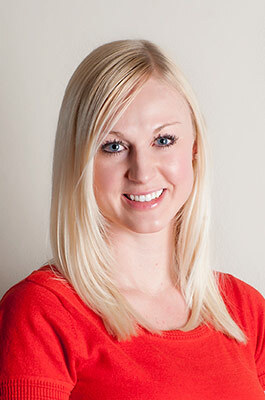 Rachel has been with Omega Health Services since 2002. She provides individual psychotherapy services, as well as group therapy services at Omega to adults and adolescents. Rachel specializes in treating mood and anxiety disorders, as well as addiction issues. She uses primarily Cognitive Behavioral Therapy (CBT), brief and solution-focused therapy, and acceptance and commitment therapy. Rachel also practices at MidValley Healthcare, where she offers group therapy. Rachel loves spending time with her husband, children, and dogs. She also enjoys studying comparative religion, history, and psychology; and perfecting favorite recipes. Rachel sees patients ranging in ages from 15 years old and older. Rachel takes most EAP plans, as well as Medicare, private insurances, and self-pay patients. If you are interested in scheduling a therapy appointment with Rachel, please contact our office at (208) 853-0071. Janet Strong, FNP-C received her Bachelor in Nursing degree from Emory University in Atlanta, GA (1982). She worked for many years as a nurse in a wide variety of hospitals, clinics, and oversees areas. 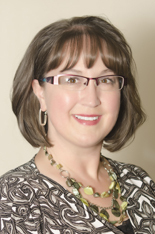 Janet earned her Master of Science degree from Idaho State University (2005), becoming a Nurse Practitioner, after which she decided to pursue psychiatry as her specialty. Janet began working at Omega Health Services in 2005, providing psychiatric evaluations and medication management. She specializes in diagnosis and management of all areas of mental illness. She offers a supportive, knowledgeable style of care to all ages of clients. Janet spends her personal time gardening, reading, and spending time with her grandson. She is also a Chaplin, and travels with an organization that offer crisis relief all over the world. If you are interested in making an appointment with Janet, please call our office at (208) 853-0071. Cali Bradberry, PA-C, MMS received her Bachelor of Science in Psychology from the University of Idaho (2007) and worked in the field of mental health for several years before going to graduate school. She obtained her Master of Medical Science degree and her Physician Assistant Degree from Red Rocks Physician Assistant program in Denver, CO (2011). After finishing graduate school, she moved back to Boise and began practicing at Omega Health Services. Since 2011 Cali has specialized in diagnosis and management of a variety of mental health disorders at Omega. 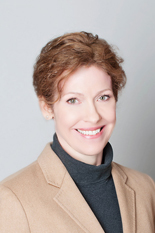 She offers psychiatric evaluations and medication management on a daily basis through Omega. Cali is passionate about the outdoors and loves to cook and travel. She is married and has two dogs she spends her downtime with. If you are interested in scheduling with Cali, please contact our office at (208) 853-0071. Matthew has been with Omega since 2013. 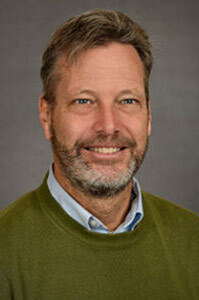 He completed his Master of Science in Labor Relations from The University of Oregon (1987) and Master of Arts in Counseling from Western Seminary, Bothell, WA (2000). Matthew is very passionate about the outdoors, and enjoys spending time with his three adult children. Matthew takes a holistic and faith-based approach to helping people overcome their difficulties, and to increase their possibility of success in life and relationships. Matthew has been in practice for over 20 years; providing services in hospitals, residential settings, and private practice. Matthew provides individual and family counseling; specializing in helping those with emotional pain, addictions, and a lack of meaning and purpose in life. Matthew takes most private and group insurance plans, as well as self-pay patients. Please contact us at (208) 853-0071 to schedule an appointment with Matthew. Or click here to request one electronically. Disclaimer: This e-mail is not for urgent or emergent issues, as this email is not checked during non-business hours. No medical advice will be given via e-mail or website contact. If you are having a medical emergency, please contact 911 or go to your nearest emergency department. Omega Health Services has been serving the Treasure Valley community with quality mental healthcare since 1997. It has been our endeavor to bring to you the best psychiatric services available at affordable costs during hours that accommodate your schedule. If you are planning to pay your Omega Bill, you can fill out the form linked below. We accept cash, check, Visa, MasterCard, Discover Card, and American Express. We are also able to take your payments over the phone if paying by credit card. Our mental health professionals can provide care to individuals experiencing virtually any mental health condition. If you or a loved one is dealing with life altering mental health symptoms we have treatments that can help. Contact our office for an appointment.